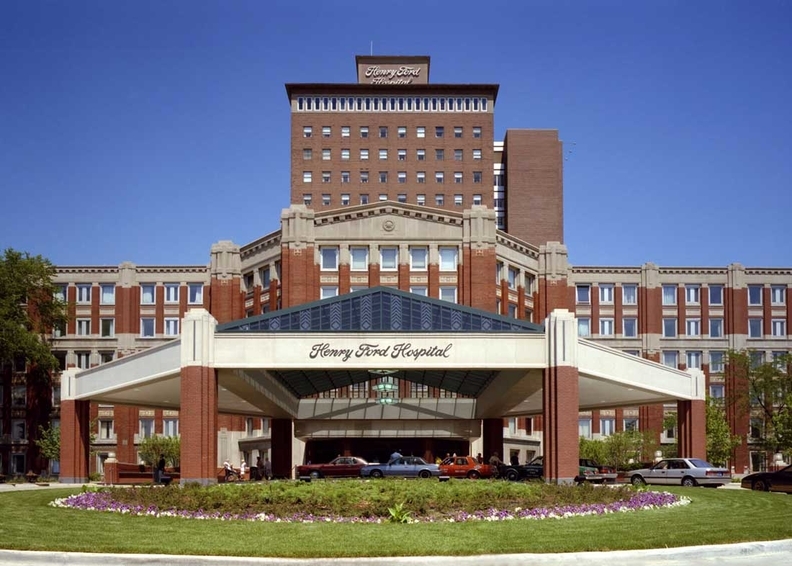 Henry Ford Health System in Detroit is among 21 participants in the CMS' "Next Generation" ACO model. The Obama administration has rolled out the newest participants in Medicare's accountable care programs, which now include 477 organizations across four different models. More hospitals and doctors are shifting to accountable care models that put them at risk financially for the health and outcomes of their designated populations. But despite this progress, most participating in Medicare's payment experiment still have not yet made that full jump. “ACOs are moving toward risk, but they are not necessarily moving as fast as some people predicted,” said David Muhlestein, a senior director at consulting firm Leavitt Partners who studies ACOs. This year, 8.9 million seniors and disabled people will be cared for through an ACO, a group of hospitals and doctors tasked with lowering costs and improving the health of each person, HHS said Monday. Medicare pays ACOs based on level of care they provide to patients, and ACOs with high quality scores that also happen to save Medicare money share in the savings. Those with poorer outcomes and higher costs may lose money. The program has netted variable results thus far for Medicare, as well as for private payers. The federal government is banking on ACOs and other care delivery models developed under the Affordable Care Act to move Medicare away from the current fee-for-service payment system, which relies on volumes of services, and toward a system that rewards keeping patients healthy. Research suggests avoiding hospitalizations immediately benefits patients and saves the healthcare system money. By the end of this year, HHS wants 30% of all traditional Medicare payments to come from ACOs, bundled payments or other alternative payment models. That number will increase to 50% by 2018. The newest of the ACO models, which went live at the beginning of this month, is the highly anticipated Next Generation ACO program. HHS and the CMS named 21 organizations and companies—including Henry Ford Health System, Detroit; MemorialCare Health System, Fountain Valley, Calif.; Steward Health Care System, Boston; Trinity Health, Livonia, Mich.; and ThedaCare, Appleton, Wis.—as Next Generation participants. The CMS originally expected 15 to 20 groups in the first cohort. “The fact that they got 21 that have signed commitments tells you this is a strong and attractive program from organizations that are ready to go to full capitation at some point,” said Dr. Kavita Patel, senior fellow at the Brookings Institution and former policy director for the Obama White House. However, the initiation of the Next Generation program has drastically cut into Medicare's Pioneer ACO program, the original demonstration project that has created frustration among several participants who disagreed with the government's benchmarking methodology. Only nine Pioneer ACOs still stand, according to Medicare's Innovation Center, the agency that runs the ACO projects. There were originally 32 Pioneer ACOs. Two risk-arrangement options exist for Next Generation ACOs: one in which providers can share in 80% of the savings or losses based on their quality and cost-control efforts, or one that involves 100% risk. Savings are determined by a formula that doesn't solely rely on an ACO's past performance. Participating ACOs could be paid via fee-for-service or some type of mixed value-based payment. Those who participate in the second year can try capitation, meaning the ACO would receive monthly lump-sum payments for each covered Medicare member as Medicare Advantage insurers do. In essence, Next Generation ACOs that pursue capitation in year two will be like Medicare Advantage insurers, Patel said. Next Generation ACOs can also offer financial incentives to keep beneficiaries in their network as well as other “enhanced benefits” such as telehealth and nursing home visits. Shared Savings and Pioneer ACOs don't have those options. Of the 477 Medicare ACOs across the four different models—Pioneer, Shared Savings, Next Generation and Comprehensive End-Stage Renal Disease Care—64 are in some kind of track that involves potential penalties (known as downside risk) in addition to the chance for bonuses, CMS said. Aside from the Pioneer and Next Generation models, providers can take downside risk in two tracks offered in the Shared Savings program. Muhlestein said it's a positive development to see more hospitals and doctors accept the so-called two-sided risk contracts. But it will still probably be a couple of years before a majority of providers move to such agreements. He expects 2019 will be a big year to watch, since that is when Medicare's new merit-based payment system for doctors goes into effect.